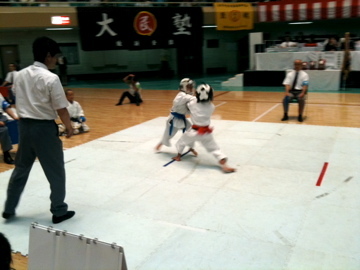 At the 34th Annual Rensei (Training) National Budokan Championships (elementary and junior high school age) on July 30, the men and women national kata teams performed a demonstration. 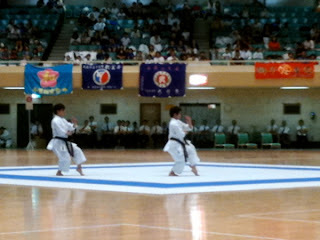 Seiritsu high school students were volunteering at the score keeping tables. Men's team performed Annan kata. 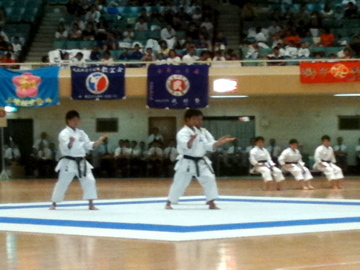 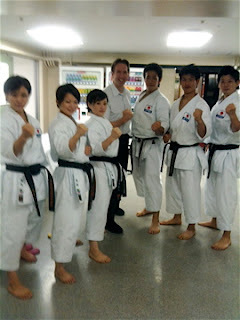 Women's team performed the Kururunfa kata. The young competitors did team kata and the top eight teams for each group then moved onto to team kumite.